Lennar's premier age-qualified, guard-gated community of Heritage in Henderson! This gorgeous single story home features a gourmet kitchen w/ luxurious granite Counter tops , 42" raised panel cabinets, & GE appl. 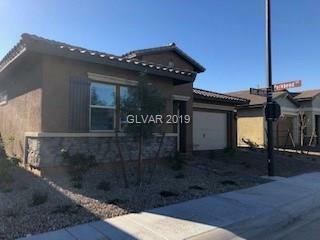 Home also includes 2" blinds, Lennar Home Automation, BBQ Stub, USB Outlets at Kitchen and Master, recessed lighting, front yard landscaping & much more! Directions: I-215 E Or Us-95 S To E. Lake Mead. E. Lake Mead Pwky For 3.5 Miles, Left Onto Cadence Crest Ave, First Right On First Heritage St, Left Onto Merry Maple St.